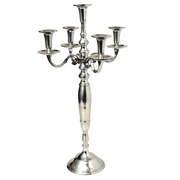 Candelabra to rent / to hire for parties, corporate events and wedding styling. 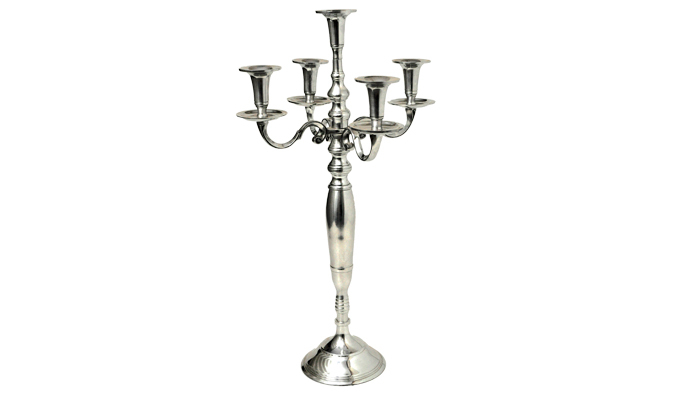 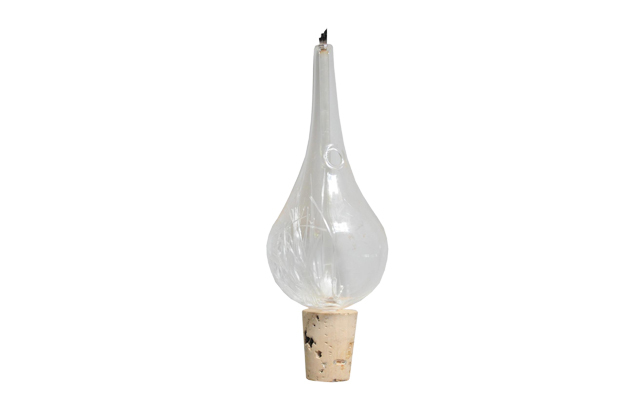 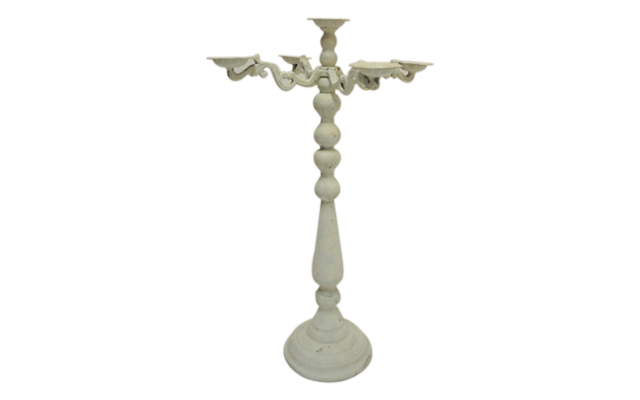 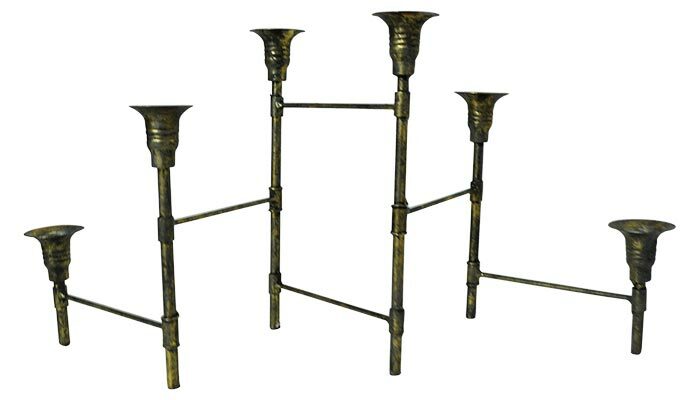 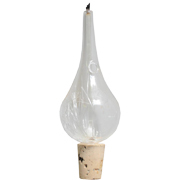 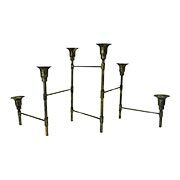 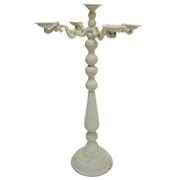 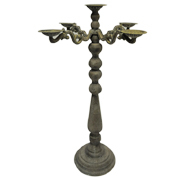 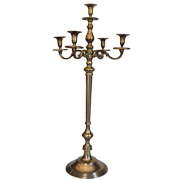 All candelabra are to be used with suitable votives or oil lamps. 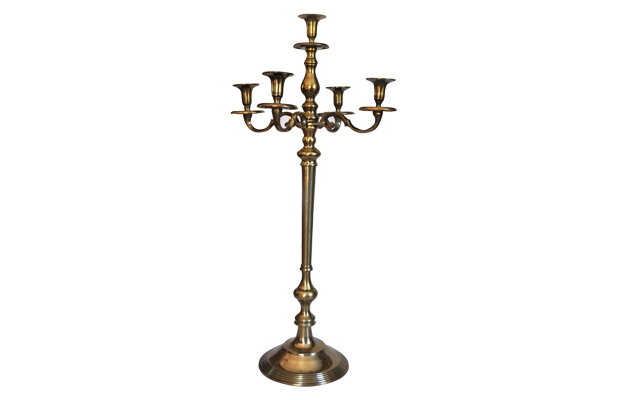 (Open flame wax candles are not permitted due to eventing health and safety regulations and to protect the stock from damages). 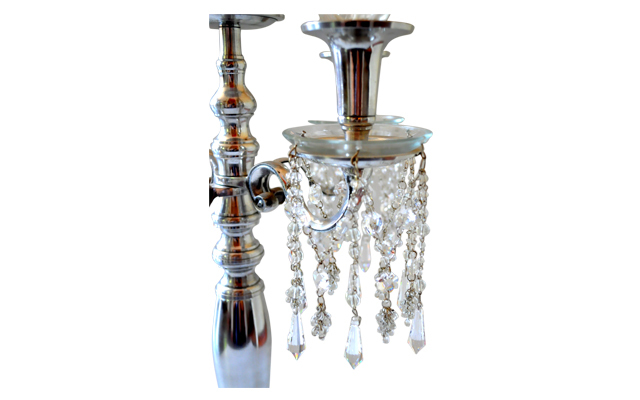 Some candelabra styles work in conjunction with candelabra crystal decoration accessories. 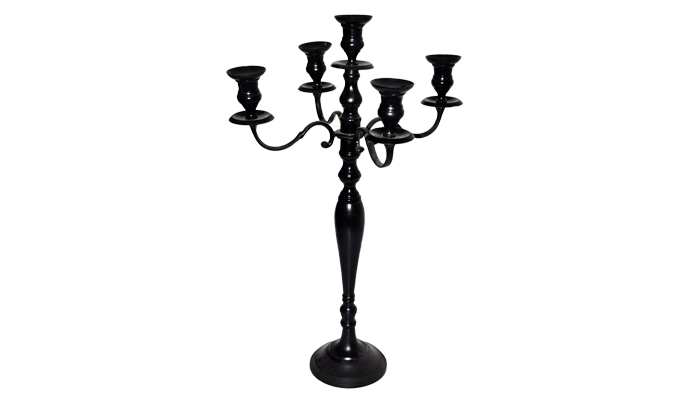 Classic centre-piece / ambiance enhancing decor elements. 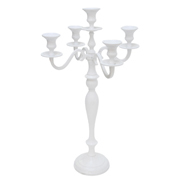 Please note: Selected indicated stock items can be customised / painted on request to match your preferred colour scheme. 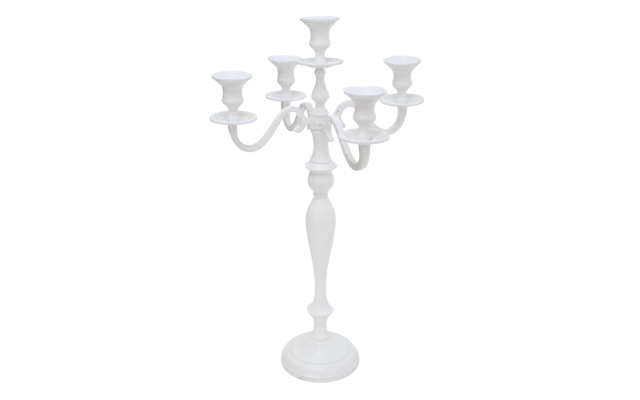 The rental prices exclude the cost of the paint and a labour surcharge – which will need to be calculated based on current paint costs and the volume of the order. 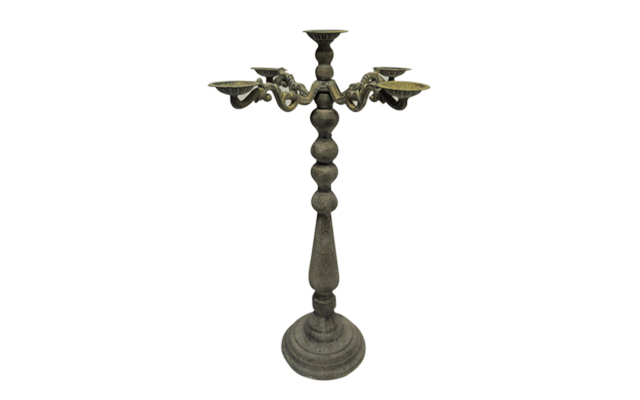 A reasonable lead time will be required for any customised orders. 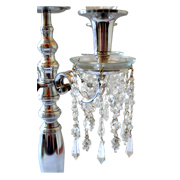 Please send through an email request to cost this add-on surcharge. 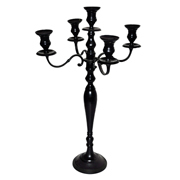 The rental prices indicated are valid for a 3 day rental period.